LEARNING LINKS and RESOURCES! Keep checking back for more! NEWTON's LAWS of MOTION - Thank you to Jenny Kim's class for submitting this great site! Fly Lady - "You are not behind. I don't want you to try to catch up; I just want you to jump in where you are." This is a great quote from the FlyLady that can apply in so many areas of life. MonkeySee.com - Parenting is only one category on this site of well over a dozen. Great videos on so many topics. Scholarships and much more for girls in Science,math and engineering. 504 vs IEP - This is not a concern at BFA, but we realize everyone reading this site will not attend our amazing school. :o) So this is a good site that defines the differences between a 504 and an IEP if you are going down that path. Touch Math - Free Materials, and a great math program. Handwriting Without Tears - so much more than handwriting. HWOT also has emerging reading program, math programs and so much more. Apps too for Androids too. Great for Prek-Grade 5 or any age needing help with handwriting skills or (re)building base for strong reading and math skills. Accountable Kids - we have heard from many parents that have had success with this program for teaching accountability and responsibility. Physics Games -don't let the name fool you - they are fun. National Park Service - Great history, discovery and nature site. AZ Odyssey of the Mind mission is to promote critical thinking and creative problem solving skills for students from kindergarten through college in a competitive setting. Freedom to Teach? - Another reason we decided to be a private school. We have the freedom to teach, and do not have to wait for educational reform to start. Child and Me Some great Articles on teaching math - reading - music - languages - potty traing - Montessori concepts - positive discipline and so much more. Science Can Take Her Places- Sally Ride Foundation - Encouraging your daughter's interests in math science and technology. 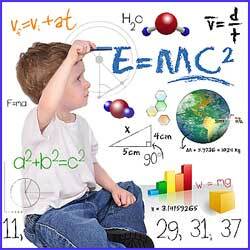 Gifted Homeschoolers Forum - great site - on FB too - info on 2e and much more. DS Network - Down Syndrome Network Support group and resources for families and professionals that love and care for someone with an extra chromosome. Berkeley Webcasts - UC Berkeley webcasts select courses and events for on-demand viewing via the Internet. webcast.berkeley course lectures are provided as a study resource for both students and the public. MIT OPEN Courseware - MIT OpenCourseWare is a free web-based publication of MIT course materials that reflects almost all the undergraduate and graduate subjects taught at MIT. TUFTS Open Courseware - Tufts’ course offerings demonstrate the University’s strength in the life sciences in addition to its multidisciplinary approach, international perspective and underlying ethic of service to its local, national and international communities. Johns Hopkins Open Courseware - OCW offers open materials and images from more than a hundred courses developed by the faculty of JHSPH, the world’s foremost institution of public health education and research. OCW is an expression of our mission to provide learning opportunities and teaching resources to all who pursue improvement of health and prevention of disease around the world. Khan Academy - has everything from basic counting and 1+1 math to logarithms and Physics, economics, art history and so much more. Thousands of online classes. You can sign up for a teacher portal to keep track of each childs progress. All FREE. The Workbox System - a homeschool program that compliments any curriculum and allows you to be more effective, and better organize your school day. "An effective teaching system to reduce your organizational time and increase your child's self-control, independence and learning. Specialized for: Autism, ADD ADHD, and Large Home School Families"
Timberdoodle - Combines some of the best curriculum around into grade level bundles. Both religious and secular bundles and you can custom create your own. Fun and engaging materials to help you through the year. Worksheetworks - Free - hundreds of worksheet in milions of combinations. Create your own custom worksheets for math, english, geography, puzzles, handwriting, calendars and more. Student Handouts - Free educational materials for k-12 Teachers and students of all subjects.